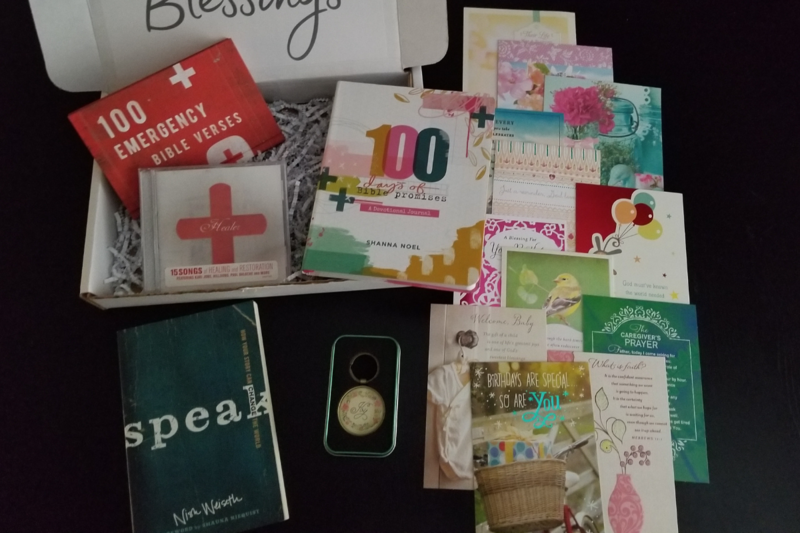 The theme of this Box of Blessings is “In Case of Emergency” and it’s based on Psalm 46:1: God is our refuge and strength, an ever-present help in trouble. (NIV) Every item in this Box can be used “in case of an emergency.” So here is what is included: the 100 Days of Bible Promises creative journal, the gift book 100 Emergency Bible Verses, the worship CD Healer (featuring Kari Jobe, Laura Story and Hillsong), the book Speak by Nish Weiseth and a scripture key chain. This huge blessing has a retail value of $92.53!